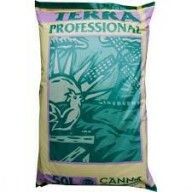 Canna terra professional 50ltr CANNA’s products for cultivating in peat based potting mixes are called CANNA Terra. CANNA Terra can be used for cultivating in both pots & open potting mixes, indoor & outdoor. 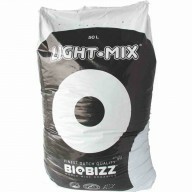 The biggest advantages of growing in potting mixes are its ease of use..
BioBizz Light-Mix Potting Soil - 50L Bag BioBizz Light-Mix is an ideal potting soil for organic gardeners who want to have control over the growing process through the application of liquid fertilisers. 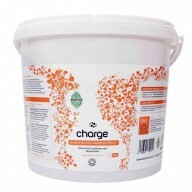 Slightly fertilised, it ensures a fast development of roots and vigorous new growt.. Bat Special 50ltr Bat Special is House & Garden's premium quality soil mix. It contains German black peat and Baltic white peat, both of which carry the RHP stamp. 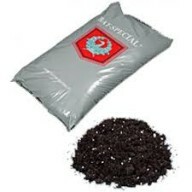 Perlite, lime and bat guano is then added to the mix, this provides extra fertiliser to your plants. 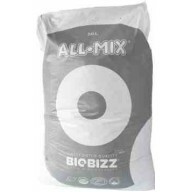 Bat Special carries a..
BioBizz All-Mix Potting Soil - 50L Bag BioBizz All-Mix is a special blend of organic mediums and active ingredients designed to provide complete sustenance for your plants for the first few weeks after potting. All-Mix is perfect for any application, indoor and outdoor use, potted plant..